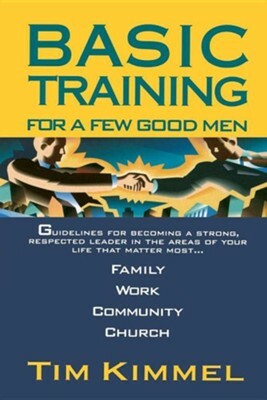 From the author of "Little House on the Freeway" comes "Basic Training For A Few Good Men," a well organized plan that will help you to lead, love, and serve courageously. God's men have been at war for thousands of years. Kimmel provides timely humor and meaningful encouragement to those who find themselves battle fatigued. I'm the author/artist and I want to review Basic Training for a Few Good Men.